Sometimes is can be easy to forget about all of the amazing things that go on in a bee hive. How much do you know about the inhabitants of your nearest bee hive? Let’s talk about the three main residents of a bee hive: drones, worker bees and queens. 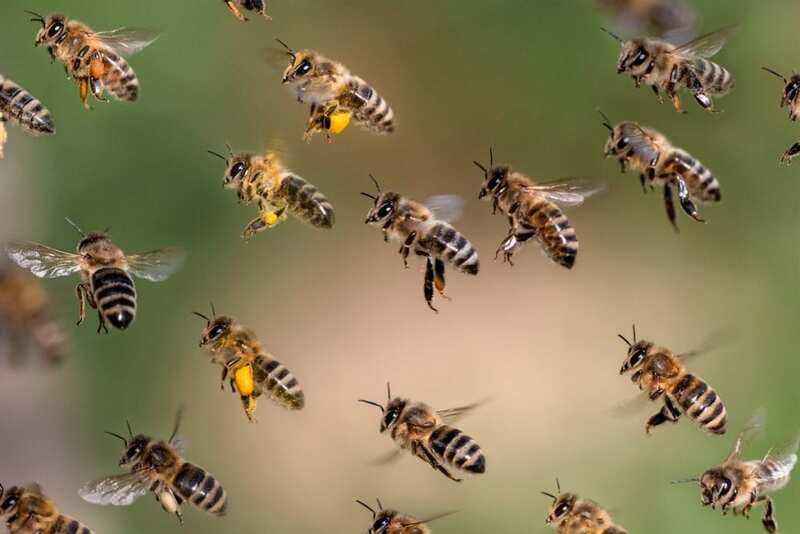 Drones are the male bees in the hive. Typically, they can only be found spring through early fall. Their primary job is to mate with queen bees. Drones also help the brood (the bees who are still developing) by covering them up and keeping them warm. This activity helps the worker bees by giving them a break to go out and forage for food. After drones have completed their job of fertilizing queens, the majority of them will die very soon after. For those that remain into the cooler weather, their fate is not much better. Unfortunately, the worker bees will evict the remaining drones from the hive, leaving them to starve and eventually die. How rude! Worker bees are females that do the majority of the heavy lifting in the hive. They have many duties to help keep the hive running smoothly. Younger bees and older bees often have different responsibilities. They don’t call them worker bees for nothing! Because of all this hard work, most worker bees will only live for about 6 weeks. Sometimes during the busy summer months, worker bees will only live for 3-4 weeks. Not only is the queen the largest bee in the hive, she is considered the life of hive. Why? The queen’s only responsibility is to mate and lay eggs to keep the colony thriving. A new queen will leave the hive to mate with drones. After mating, she will start laying her eggs in just a couple of days. She can produce 1,500 – 2,000 eggs in a day! When the weather becomes colder, her egg production will decrease until the spring. Queens typically live only 1-3 years; however, they get a lot done during that time. Queens lay an average of 250,000 eggs in their lifetimes! As mentioned earlier, queen bees are significantly larger than the other bees in the hive. Her stinger is smooth, not barbed like other honey bees. She can even sting more than once and live to tell the tale, unlike typical honey bees who can only sting once before dying. It’s fascinating to learn about the inhabitants of a bee hive and the specific jobs they hold. If you have questions about your resident bee hive or need professional live bee removal services, give us a call. Our experts can help you figure out the best way to handle your bee removal or bee repair issues. Contact D-Tek Live Bee Removal today!